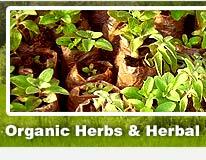 We have our own certified organic cultivation zone near Mumbai. 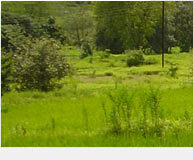 Apart from this we have farmers who cultivate exclusively for us. We also source from independent cultivators who produce by following organic systems and methods, whether certified or not. When herbs / spices are not available from cultivation sources, then we source from those who collect them from the wild forests by following ethical and environmentally sustainable methods. All other manufacturing, processing and testing are subcontracted. We offer bulk as well as retail packaging. Bulk packages vary from 20 Kg to 50 Kg depending on the bulk density of the products. The products are first packed in PE bags and then placed in HDPE woven bags and sealed or placed in corrugated cardboard cartons. Plastic film wrapping and strapping is done where necessary. Powders are also offered in HDPE drums with Poly liners. Liquids are packed in HDPE jerry cans. Retail packaging can vary from 2 grams to 2 Kg. We offer a large variety of retail packaging both flexible and rigid. It can include pouches, jars, bottles, tubes, tea bags, cartons etc., of different materials. Most of the retail packaging is subcontracted. We also offer solutions for development, designing and printing of retail packaging and labels to meet customer needs and specifications. We ship by road, sea, air, courier and EMS depending on the requirements of the customer. We have so far shipped small and large orders to over 50 countries around the world.